The project features the Pan-Scandinavian violin trio Fru Skagerrak and the Danish violin and guitar duo Kristian Bugge & Morten Alfred Høirup, and their very individual ways of presenting the music of their homelands. 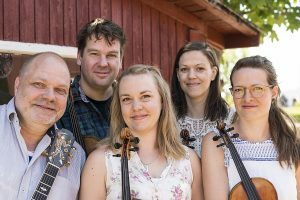 But the two acts also join forces as a part of their show of old Scandinavian joking songs and beautiful love songs, combined with some great traditional dance music and catchy new tunes – all arranged for strings, flutes and voices. In 2018 Fru Skagerrak released a second album called ‘Ankerdram’. The trio has toured all over Scandinavia, and in Great Britain, Germany, Austria, Belgium and Canada, and are now preparing for future tours in The US, Scotland and Australia. Violinist Kristian Bugge and guitarist and singer Morten Alfred Høirup are two of the most travelled folk musicians in Denmark. 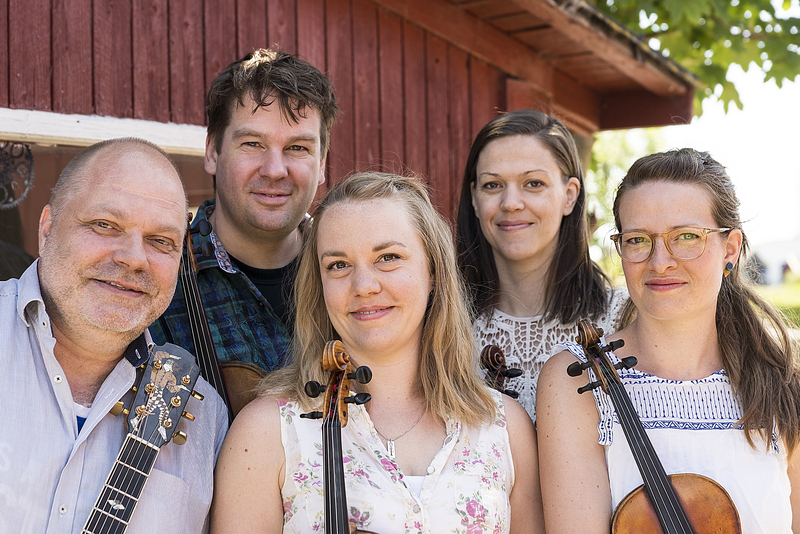 They have been touring and performing together in quite some constellations during the years, and their music is a blend of great traditional dance music and the beautiful old songs from Denmark, mixed with new tunes that they write themself, inspired by the Danish music tradition. They have both played and performed with the old Danish masters, and they are specialized in not only performing concerts, but also for teaching and playing for traditional dancing. Both Kristian and Morten has received numerous Danish Music Awards (Danish ‘Grammy’), as individuals, as well as in different band constellations. They both received a Danish Music Award Traditional Folk Act of the Year with the band Gangspil in 2016. Kristian Bugge & Morten Alfred Høirup have traveled together in Denmark, Norway, Canada and the US, and they kicks up the dust when playing together, being it a club, a dance or a festival – Danish folk music when it is at its best.